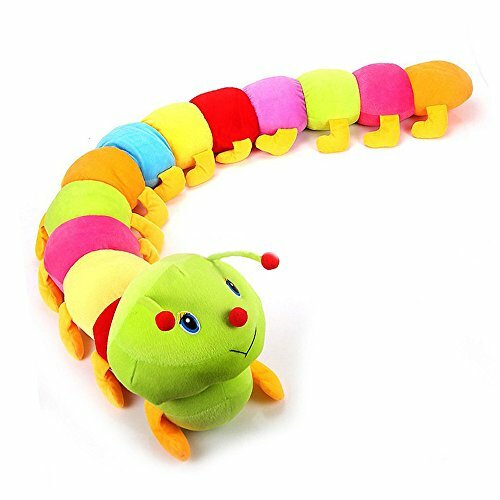 WuKong 78'' Colorful Caterpillar Plush Toy Throw Pillow Cushion by Wukong at Animal Backgrounds. Hurry! Limited time offer. Offer valid only while supplies last. The plush toy is quick and easy to wash,just toss it in the washing machine and allow your plush toy to air dry. Vivid animals Caterpillar Insect and Snails shaped design,very funny and colorful. It is most suitable for the story of mom and animal pretend,It will help the educational imagination of children.They will be a good match to home decoration.